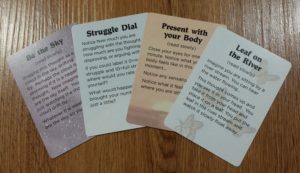 Welcome to your journey of self-exploration toward a more fulfilling rich life. 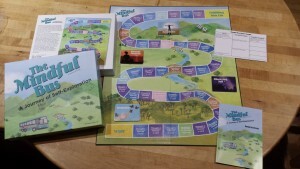 The Mindful Bus is a therapeutic game that gives players the opportunity to identify what is important to them in their life, what actions to take, what unhelpful thoughts get in the way, and how to mindfully neutralize those thoughts. 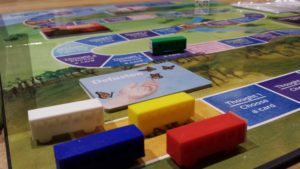 Based on Acceptance and Commitment Therapy, this game encourages you to think of your life as a bus and you are the bus driver. 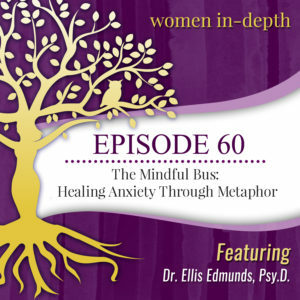 Your thoughts, experiences, and emotions are passengers on this bus. Often these passengers are negative thoughts or fears that try to tell you how to drive the bus of your life. 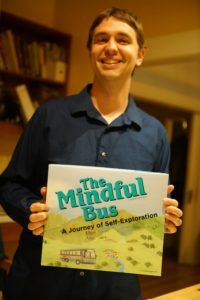 Your task is to identify which direction you want to drive your bus and use mindfulness skills to help neutralize the unhelpful passengers. Along the way, you may also encounter support from friends, self-care, gratitude, and the dreaded avoidance. Remember, it’s a journey, so take the wheel, choose your direction, and learn how to mindfully manage your passengers. Shipping rates and times for international orders differ. For international orders (outside of the U.S.) please see the International Orders page. 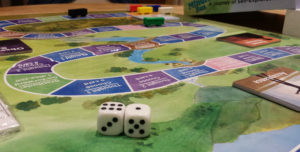 This game is not intended to be a replacement for therapy. Play at your own discretion. 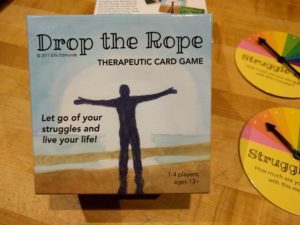 For more therapeutic games, check out my new card game Drop the Rope! For Free Mindfulness Tips, Subscribe to my Newsletter!